Indian Ethnic wear is not confined for Indians. Today it is the trend in the global fashion world. This is also not confined to special occasions. Wear a kurta to work mid-week or add up a Nehru Jacket/Bundi for a weekend lunch with your friends or family or even a meeting. Indo-Western suits also called Prince Suits or Jodhpuris and also Sherwanis are slowly becoming a norm for Weddings and Engagements in the Middle East and Africa and also in Europe. At Suits and Shirts you can get your custom made Indian Ethnic and Traditional Arabic Dishdadsha or thobe tailored in various fabrics…blended wool, Jacquard, Velvet, Swede, Linen, Cotton and so on. 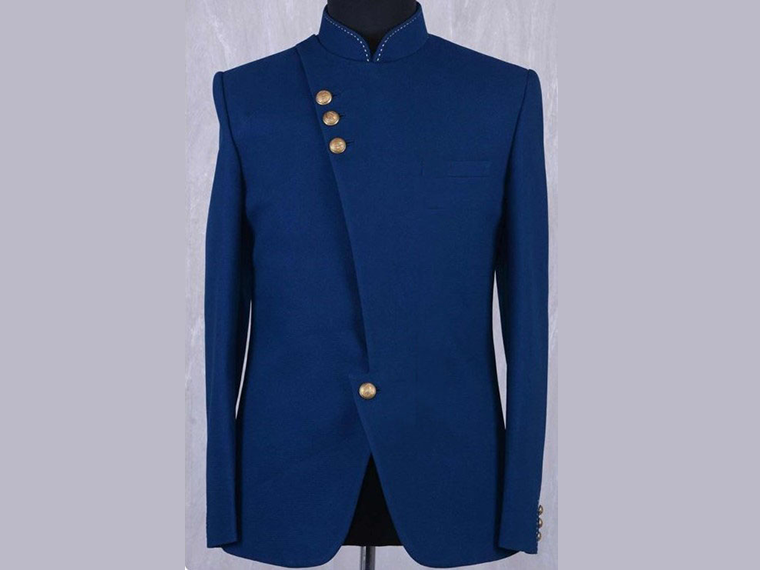 Jodhpuri/Prince Suit or Indo-Western SuitThis is a suit buttoned from neck to waist unlike a conventional Western suit where the first button starts just above the waist. The bottom wear is a similar or contrasting trousers or jeans. Bundi / Nehru/Modi JacketSimilar to the Jodhpuri without sleeves.